Arizona's 100 Year Water Plan! WOW! Priced to sell! Resort style living... townhome located in a private, gated community which backs to the Superstition Springs Golf Course. Enter into this Spacious Open Floor Plan with QUARTZ counters, breakfast bar, NEW PAINT, WOOD LAMINATE flooring throughout, split bedrooms and 2.5 baths. Beautifully landscaped front yard maintained by the association, garage has built in cabinets, work bench and sink. 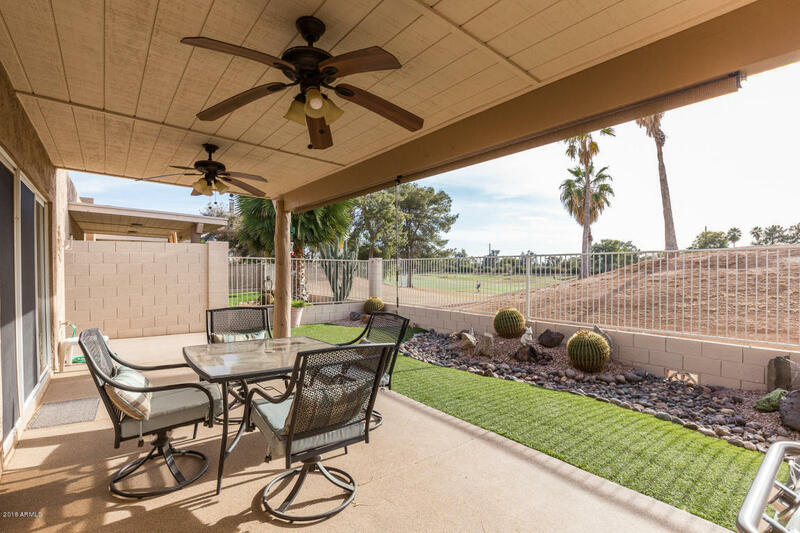 Relax in your soothing backyard, EPOXY COATED, covered patio, easy kept yard with desert landscape and artificial grass overlooking the golf course. Community has resort style pool & spa, near easy freeway access, restaurants and shopping. Don't wait too long. MUST SEE! © 2019 Arizona Regional Multiple Listing Service, Inc. All rights reserved. All information should be verified by the recipient and none is guaranteed as accurate by ARMLS. Information deemed to be reliable but not guaranteed. Real estate listings held by brokerage firms other than Robin Rotella PLLC are marked with the ARMLS logo and detailed information about them includes the name of the listing brokers. Listing broker has attempted to offer accurate data, but buyers are advised to confirm all items. Only IDX residential listings are displayed on this site. The information being provided is for consumers' personal, non-commercial use and may not be used for any purpose other than to identify perspective properties consumers may be interested in. This site will be monitored for 'scraping' and any use of search facilities of data on the site other than by potential buyers/sellers is prohibited. Information last updated on 2019-04-25.